Your Queen sized bed can set the tone and vibe of your bedroom decor. Such an important role in your bedroom should mean you get to pick whatever Queen bedding you want regardless of the size, right? But what happens when you find a stylish Queen duvet cover you love but it doesn't fit your current Queen comforter? 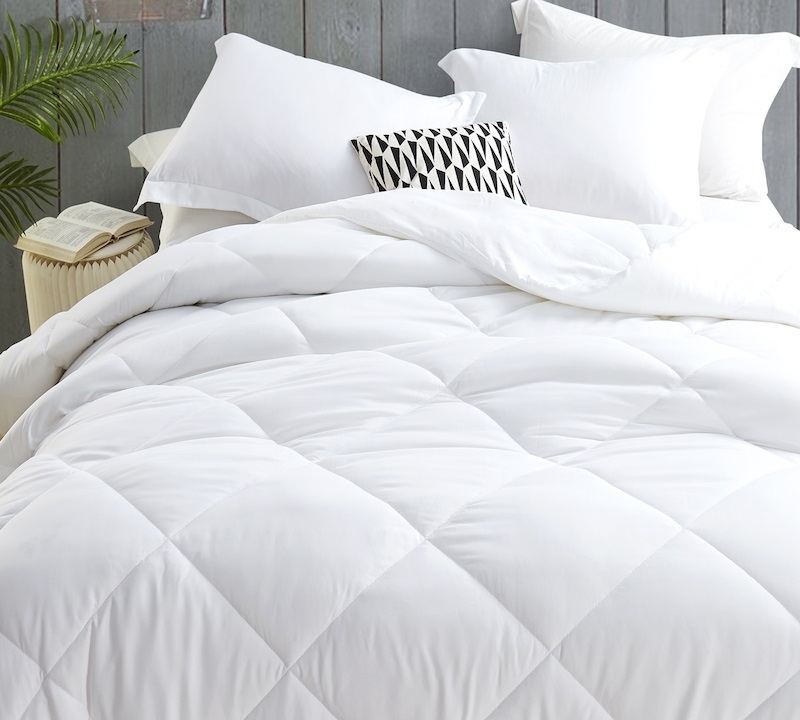 No need to worry, we have the perfect Queen XL comforter insert for you! This 90" x 100" extra large Queen duvet insert is perfect for the standard 90" x 90" Queen duvet cover and above, letting it add more comfort to your Queen bedding. Our must have Down Alternative - Ultra Cozy Duvet Insert - Queen XL (90" x 100") lets you display a stylish Queen duvet cover while enjoying all the comforts of luxurious Queen XL bedding. This cozy oversized Queen duvet insert is an essential part of making your Queen bed extra comfy. The high quality down alternative polyester fill will help you surround yourself in ultimate comfort when it is time to relax on your Queen sized bed. With so much comfort you would think you were spoiling yourself, and at such an affordable price, this Queen XL duvet insert is a must for your Queen bed!